360 Vision Technology, the leading UK CCTV design and manufacturing company continue to expand their camera range, with the release of Predator DualView, a dual camera head, high-speed, ruggedised Pan, Tilt & Zoom HD colour/mono camera system. Borne out of customer feedback, the new Predator DualView features a Full HD 1080p wide angle overview camera, combined with a separate 30x optical, ultra-low light Sony STARVIS Full HD ‘Zoom’ camera. Ideal for live monitored Public Space surveillance applications such as town centres, container ports and transportation hubs, where an overview (of up to 90° field of view) of the incident/target area is desirable, the Predator DualView system’s 30x Zoom ‘Target’ camera supports the overview camera, being used to target and capture specific close-up scene evidence. Predator DualView is designed to free CCTV operators to focus on gathering critical ‘close-up’ video evidence, to identify individuals and actions, whilst simultaneously capturing the wider view of any related critical activities occurring during an incident taking place. 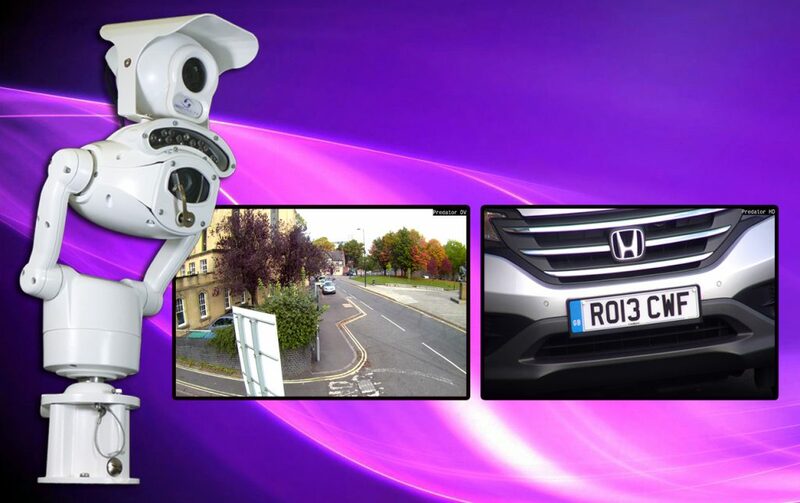 Knowing that the overview camera is automatically gathering the ‘wider view’ video footage allows CCTV operators to maintain detailed close-up camera surveillance, without having to conform to their more traditional and restrictive monitoring practice of having to also zoom out of an incident in progress to capture a snapshot of the associated wider view. The new camera system’s constant overview image increases the effectiveness of the CCTV monitoring operation by capturing related wider view activity in Full HD, such as assailant exit routes, associated Incident opportunism, or emergency services arrival at the scene etc – in this way, loss of essential wider scene evidential footage is avoided. Maintaining maximum continuity of incident scene awareness and a more comprehensive prosecution video audit trail of all incident activity, Predator DualView provides authorities with the ideal solution for supplying best quality evidential video footage, and supports efficient investigations into statements and activity across the entire event scenario. Supplying two simultaneous video streams up to 1080p (25/30fps), the Predator DualView camera system performs in extreme low light conditions, delivering useable monochrome video images down to just 0.0008 lux, or enhanced monochrome imaging with onboard IR light, or colour monitoring assisted by onboard white light. The dual Predator DualView system cameras are both ONVIF ‘S’ compliant and SDK compatible, for easy system integration and control via popular VMS platforms. Supplied as standard with a choice of Sirius dual LED IR or white light on-board options, Predator DualView’s advanced Intelligent Lighting Control function controls the lights’ illumination intensity, automatically adjusting their light output to ensure the consistent supply of high quality images, under variable lighting conditions. Optional camera head recording of both cameras via 128 or 256Gb on-board storage caters for, continuous, FTP Upload, network loos and/or alarm scheduled recording of essential video footage.